Power supply cord, NEMA 5-15P straight plug. Black. SJTO 3x18 AWG (105C). 2.5 meters long. Rated 10 ampere 125 volts. 2 pole 3 wire grounding. Black standard color. White and gray available. Custom lengths and shielded cords available. 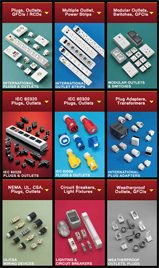 Various terminals, custom stripping, hanked cords available. 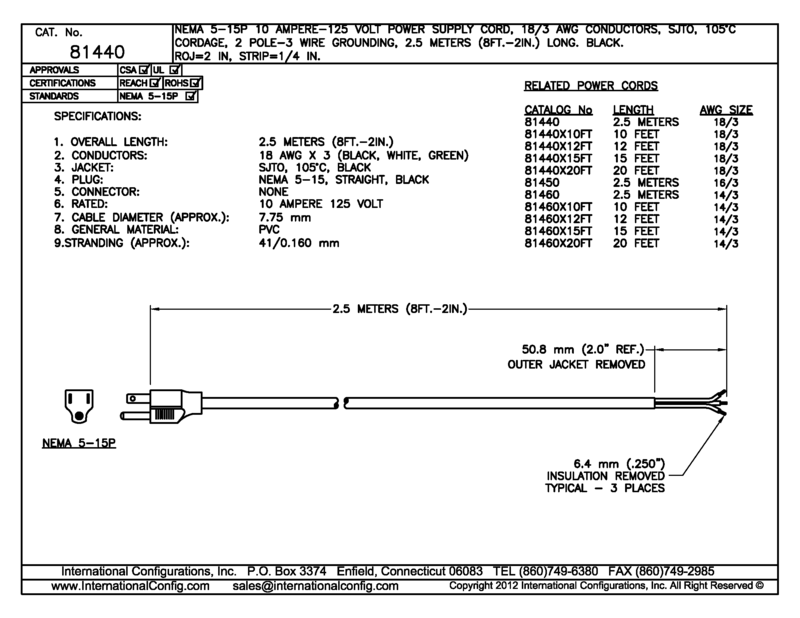 IEC 60320 C-15 120C type connector available on some models.